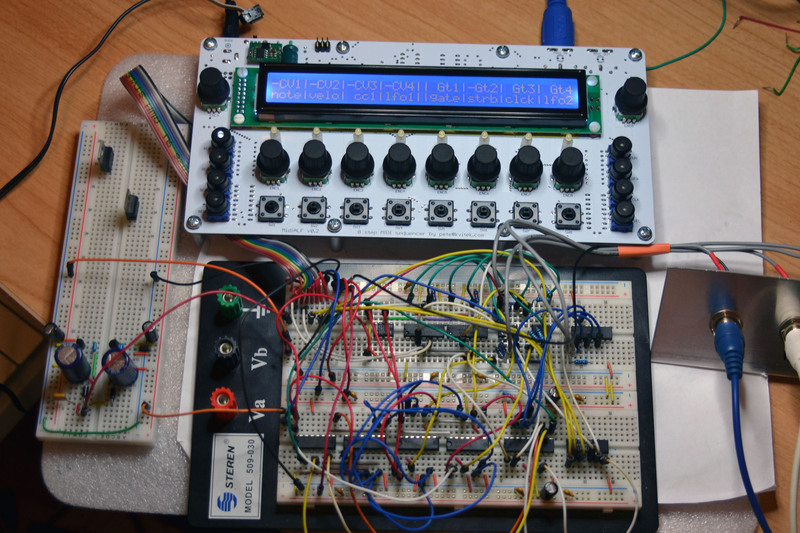 MidiALF CV extension breadboard prototype is done! There are 4 x CV outputs with configurable range (-5+5V or 0-10V) . Each CV output could be set to Note (1V/Oct), Velocity, CC1/2 or LFO1/2. There are also 4 Gate outputs with configurable polarity. 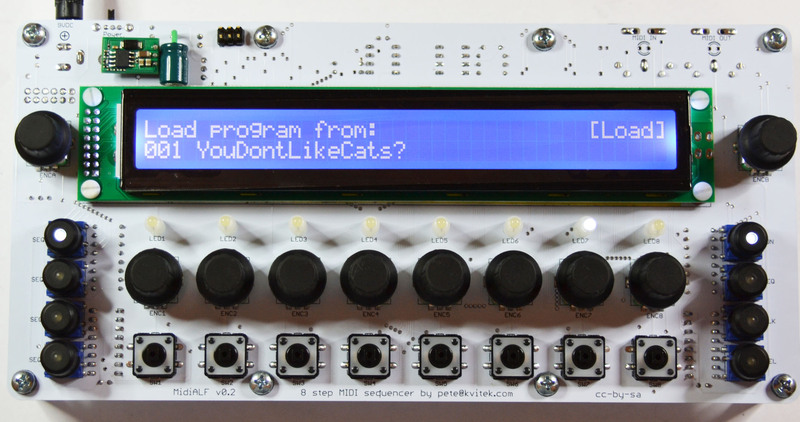 Each Gate output could be set to Gate, Strobe, Clock, Sequence start strobe and LFO1/2. Gate outputs 3 and 4 are available only at expansion connector, there will be no on-board jacks for them due to lack of board space. CV extension board will have the same size as the main board and will be attached to the stand offs at its bottom. There are 6 x 1/4″ jack connectors at the top (4 x CV, 2 x Gate). I also plan to add 3.5mm connectors so it could be built for Euro rack standard. PCB routing is going to be tricky due to the mixed signal nature of the board. MidiALF support forum is now active at http://www.kvitek.com/forum/. Here’s the current MidiALF BOM. Let me know if you have any corrections or updates for it. Show MidiALF BOM in a standalone window. C3 should be changed to 220uF/25V. 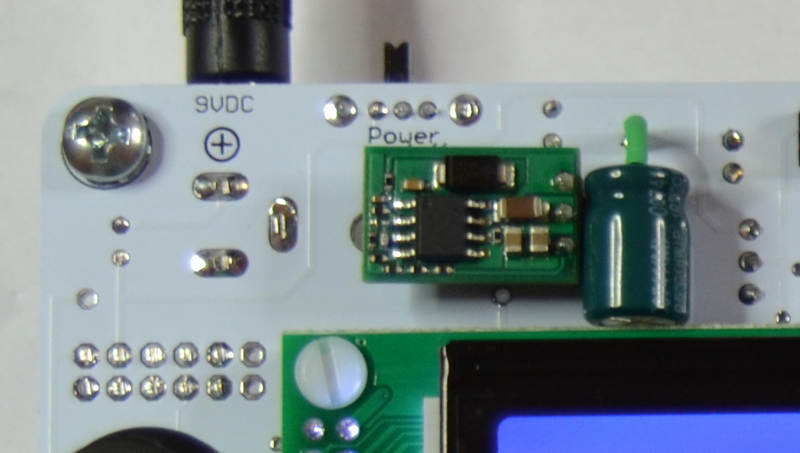 With this specification the capacitor is too high to fit between main board and 1/4″ jack connector on the CV board, so it has to be mounted on the top side of the pcb, see the picture below. MIDI IN/OUT LEDs and their current limiting resistors on the sides of MIDI connectors should not be mounted since MCU ports that drive them are used to interface with CV board, so their flashes will be unrelated to MIDI activity.